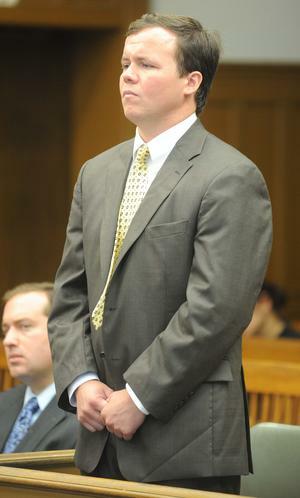 William P. Senne, of Wayland, was arraigned yesterday morning in Brockton Superior Court on enhanced Massachusetts Drunk Driving Charges in connection with the death of Massachusetts State Trooper Ellen Engelhardt. Senne has been charged with Operating Under the Influence of Alcohol and Motor Vehicle Homicide While Under the Influence of Alcohol. According to prosecutors, William Senne was allegedly driving on Route 25 in Wareham when he struck the Massachusetts State Trooper’s vehicle, which was in the breakdown lane. Trooper Ellen Engelhardt was injured as a result from the crash, and later died on June 1st. The crime of Motor Vehicle Homicide in Massachusetts seeks to punish those that operate a vehicle negligently and recklessly, while under the influence of drugs or alcohol, and that results in the death of another. The punishment for Vehicular Homicide by OUI / DUI is 2.5 to 15 years in state prison. Given the severe penalties one faces when charged with any Massachusetts DUI / OUI Offense, one would be well-served to immediately Consult with a Boston DUI Lawyer. Boston OUI / DUI Lawyer Lefteris K. Travayiakis is available 24/7 for consultation on all Massachusetts Drunk Driving Law Violations, including OUI / DUI and Vehicular Homicide by OUI / DUI.